Business has always been an area that demands much money, powers and innovations. Not everyone can survive in the ocean of stiff competition where only the strongest stays afloat. Being a part of e-Commerce industry also means you have to go in step with the times and try to do your best in order to meet the customers needs. Nevertheless, how should e-merchants act, if their stores are on the line with decreasing sales? As serious businessmen you need be cold-blooded with sound view at the situation to make appropriate decisions and save the store’s popularity. We have got 8 ideas on how to help you to rescue your e-store making not much efforts. Keep your head and choose an option. Before making a purchase majority of clients pays attention to the reviews and, accordingly, decides whether to use your products or not. Therefore, the importance of feedback is obviously high. Moreover, testimonials are going to be displayed in Google along with searched products, what makes customers feel confident in their purchases and closer to you at the same time. No doubt that it is a kind of hard to assess whether your products are attracting and eye-catching especially when you know each description word-by-word. However, try to have a glance at the items you sell with a fresh look as maybe there is a point which has become an obstacle on the way to success. Provide new details, news with achievements and novelties, information about partners, trying to make your store diverse and interesting for the audience. First thing that catches customer’s eye is an image of product and, of course, you need to keep tabs on their upgrade and appropriacy of every detail: clear and qualitative look, different angles and, maybe, even 3d view. Don’t be too conservative and offer new ideas of presenting your products. 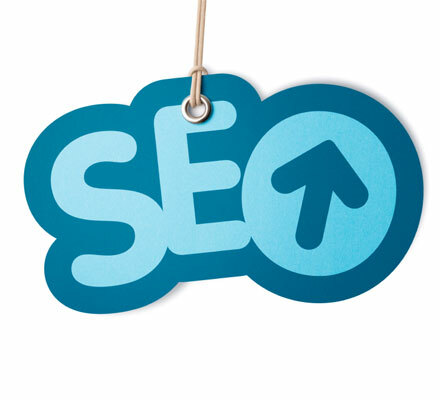 Earlier there has been not so many ways to optimise your existence in Google. But now you can’t complain about the lack of tools or resources that can influence positively and make the store visible for thousands or even millions of clients. Welcome Facebook, Twitter, Pinterest and Google+ which are main characters in social media arena providing the possibilities to increase store traffic and, of course, sales. Have you forgotten to bundle your products? This is one of the efficient methods that can be used for online shopping profit-making. If your store sells electronics or home goods, then it is not going to be a problem to bundle products like computer mouse and keyboard or toothpaste and toothbrush. Though, when the items can be specified as one-time purchases, use “Spend over $x” promotion and that will surely stir customers to add something to their shopping cart. 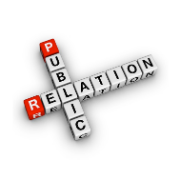 Organization of good public relations is vital in the case if you want to engage more potential customers of your store. Are you sure that you do not know the ways to make it? PR services. There are many free as well as paid ones that are going to provide a shop promotion and achieve the goals professionally and quickly. TV. A great way to be known not only in your region, but even around the world. Nonetheless, it can be hard to accomplish. Press releases. Write your own press releases with wasting no money, but making sure you have the right influential contacts. Also, pay attention that their publishing may take too long for you to wait. Outside point of view plays a great part in leading the business, especially when it is professional. Hire a retail expert or marketing specialist to get a hand of help and point out the problems which make your store development slow. However, there is a slight hitch that constrains e-merchants from using such services: price. They can cost really expensive and may take longer period to perform changes than you have ever expected. Have you presumed that your e-Commerce solution does not provide the opportunities for convenient store management or the lack of features limits the administration? It can be the reason of all your hard lines and decreasing rates. If you are sure that it is a point which should be corrected, then don’t be afraid, step forwards and change the platform. Use Cart2Cart service that will assist you to transfer all the entities and strike life into your store. These were the most effective ideas that can make you armed for bringing your store back to life and becoming even more successful. Choose the right option in time and be among the best e-Commerce retailers!